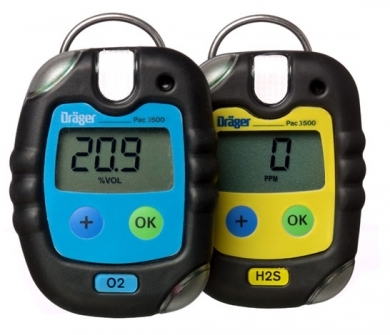 The maintenance free Dräger PAC 3500 can be used without replacing the battery or the sensor. The operation period can be adjusted from 1 day to 2 years. The large display indicates the actual concentration, the event logger stores up to 60 events.